We are the prominent exporter, supplier, distributor and wholesaler of Eye Drops such as Careprost Eye Drop, Dorzox T Drop, Dorzox Eye Drop, Latisse Eye Drop, Lumigan Eye Drop, etc. 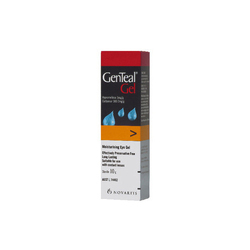 Offered product is formulated using top-notch quality ingredients and latest technology in accordance with the set international standards. Apart from this, our product is processed under clean and strict hygienic conditions and is widely acknowledged among clients for their accurate composition, effectiveness and purity. 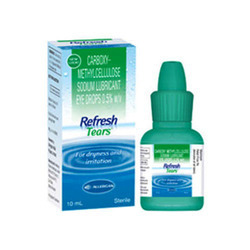 Refresh Tears® Lubricant Eye Drops instantly moisturizes and relieves dry, irritated eyes with a fast-acting, long-lasting formula that has many of the same healthy qualities as your own natural tears. Refresh Tears® comes in a convenient multi-dose bottle and is safe to use as often as needed, so your eyes can feel good - anytime, anywhere. 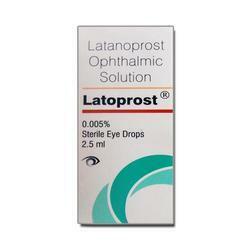 Latoprost ophthalmic solution is a topical medication used for controlling the progression of glaucoma or ocular hypertension, by reducing intraocular pressure. It is a prostaglandin analogue that works by increasing the outflow of aqueous fluid from the eyes. Extralube eyedrop - Carboxylmethylcellulose sodium eye drop ( lubricating eye drop ), We are the prominent exporter, supplier, distributor and wholesaler of Eye Drops such as Careprost Eye Drop, Dorzox T Drop, Dorzox Eye Drop, Latisse Eye Drop, Lumigan Eye Drop, etc. Offered product is formulated using top-notch quality ingredients and latest technology in accordance with the set international standards. Apart from this, our product is processed under clean and strict hygienic conditions and is widely acknowledged among clients for their accurate composition, effectiveness and purity. We are identified as one of the leading names engaged in manufacturing and supplying a comprehensive assortment of Bimat Eye Drops that is used to treat hypotrichosis, the given range of eye drop is processed by finest quality ingredients and advanced technology. Furthermore, our offered eye drop is checked on diverse parameters in order to assure its quality. 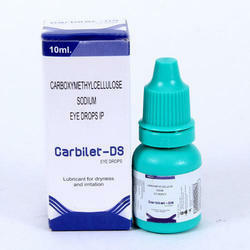 This eye drop is available in market at affordable prices. Simran Medical stores is a trustworthy name in the field that engages in proffering Careprost Eye Drop that is available at reasonable rates. These sterile eye drops are widely used for lowering eye pressure in glaucoma and improving eyelash growth. 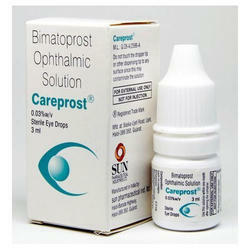 Offered eye drops contain bimrost, a synthetic analogue of prostamide. Carepost is provided in tamper proof packaging in order to prevent contaminants. 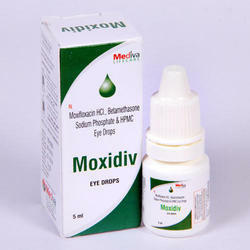 We are foremost manufacturer and supplier of supreme grade of Moxicip Eye Drop. Given in proper packaging options, these eye drops are formulated as per the set medical standards. Offered eye drops are highly acclaimed among patrons for its purity and unmatched quality & availed at reasonable price.